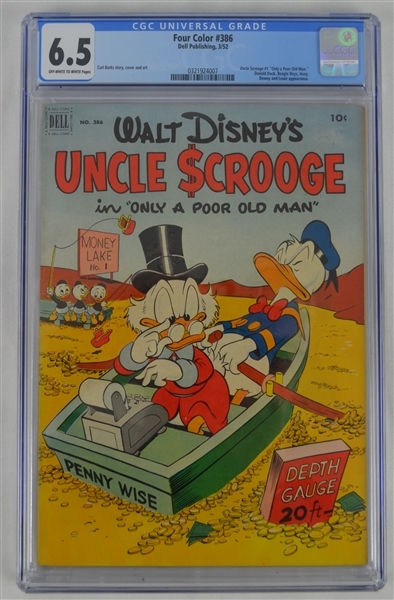 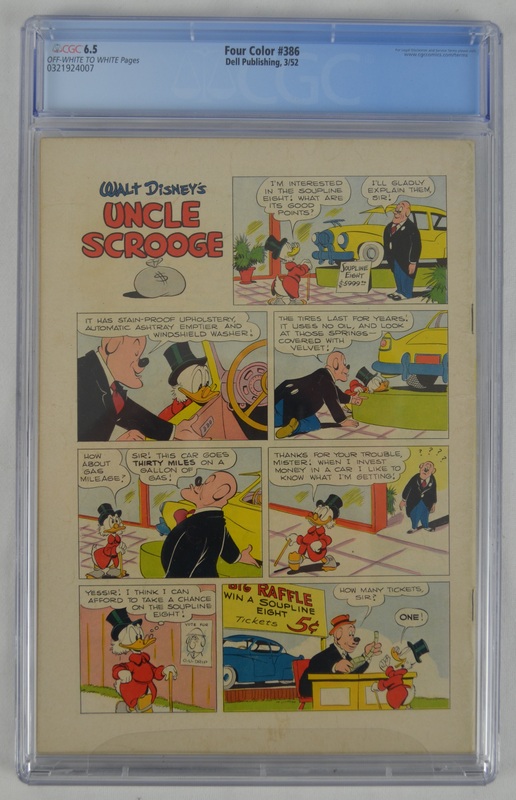 This lot features the inaugural issue of the Walt Disney Uncle Scrooge Four Color 1952 Comic Book that has been professionally graded and encapsulated by CGC. This 1952 issue is #1 of the ultra popular series and has been given a grade of 6.5 by CGC. It is difficult to locate inaugural issues like the offered example that have remained in quality condition.